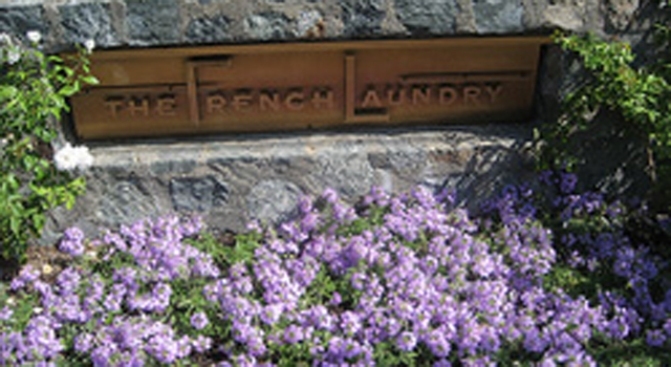 The French Laundry is always on the list of the Bay Area's best restaurants. The semifinalists for the 2010 James Beard Awards have been announced, and though it remains to be seen who will make it to the final ceremony in May, the Bay Area made a decent showing with the initial nominations. Of the major categories, the best local showing is in the Outstanding Restaurateur one, with Michael Dellar (Lark Creek), Pat Kuleto, Tim Stannard (Bacchus Mgmt) and Doug Washington (Town Hall et al.) all getting nods. Gary Danko, Michael Mina, and Charles Phan are recognized in the Outstanding Chefs category, while Bouchon, Boulevard and Delfina are among the Outstanding Restaurants. For the newbies, Perry Hoffman (Etoile) and Timothy Hollingsworth (French Laundry) represent in the Rising Star category and Best New Restaurant noms include Frances, Flour + Water, Adesso and RN74. Also awkward/sad/notable: both Jeremy and Deanie Fox are nominated for their work at Ubuntu in the Best Chef: Pacific and Pastry Chef categories, respectively.